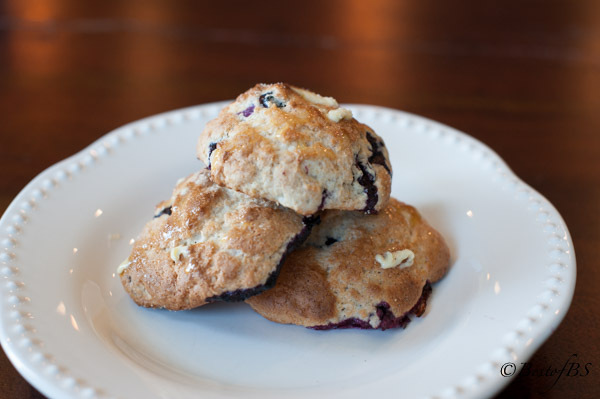 These Easy Blueberry Spoon Biscuits will put you in a “Happy Place” at breakfast time! They are tasty and easy. 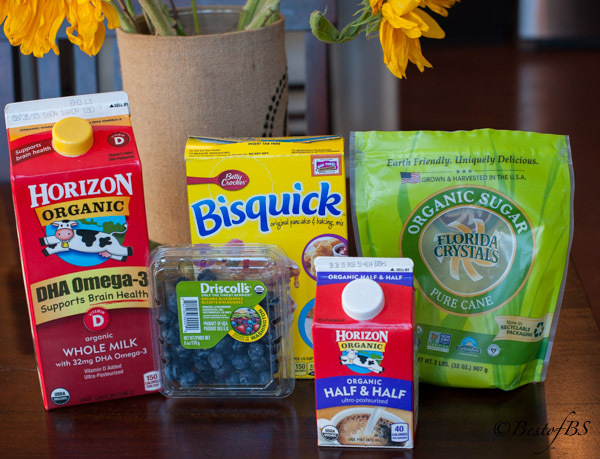 And… did I mention the fact that they only require 4 ingredients…baking mix, sugar, blueberries and milk. 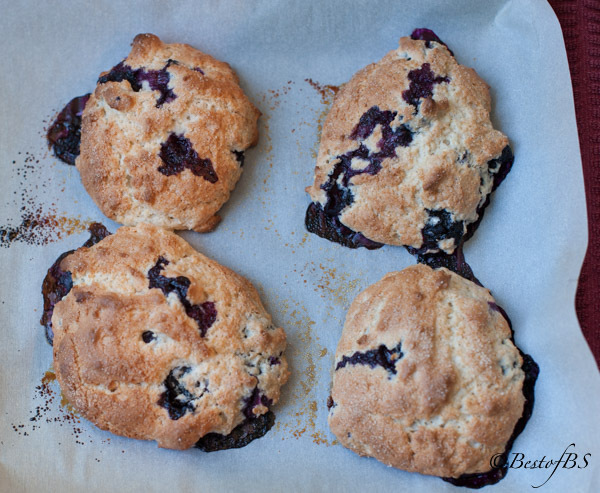 I got the inspiration for these Easy Blueberry Spoon Biscuits online from http://www.thesaucysoutherner.com/ blog. You might want to check out her blog, as she has some other interesting recipes. 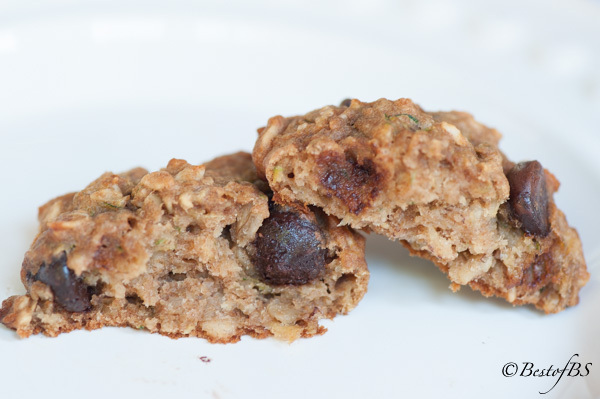 For this biscuit recipe, I simply changed a few things, like the name and the directions. These would also be great with a traditional Cinnamon Roll Icing, or you could simply slather them with butter. Enough with the biscuits! I am now in Denver to help Abby and Drew as Beau Smith Gibson has arrived! He was born on Saturday, August 1. 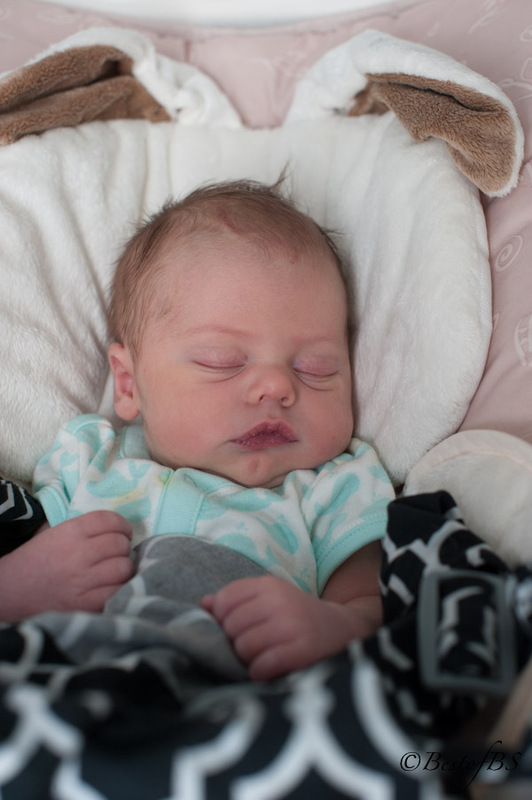 He is grand child number 5…and he is just as special as numbers 1 and 2 (Braden and Caden), number 3 (Miss Hope, “The Princess”) and number 4 (Brady, Beau’s big brother)! They have all captured a piece of my heart. 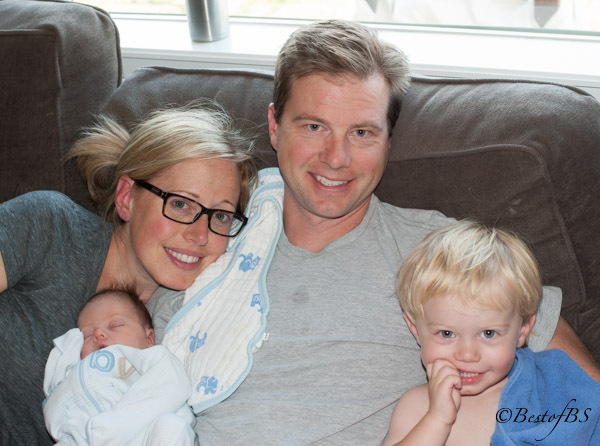 The growing Gibson family…Day 3! I feel so fortunate that I have the flexibility to travel to be with my kids when they need help. I will be here for two weeks, home for 4 days, and then I will be going to Abilene to help with Jennifer and Bennie’s move! I guess this is what moms do??? The entire family is coming to Denver on the 14th to have a “Smileyson” (our family name for: Small, Wylie and Gibson) back-to-school get together. The girls and kids will do whatever we do best and the guys are going to a Joe Bonamasa concert at Red Rock Amphitheater and the Broncos training camp. 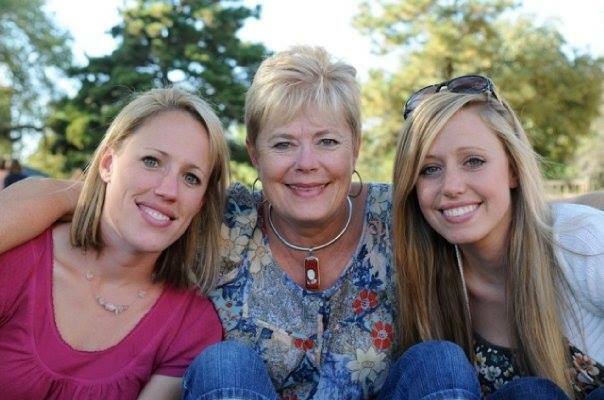 One of life’s greatest treasures is family time! 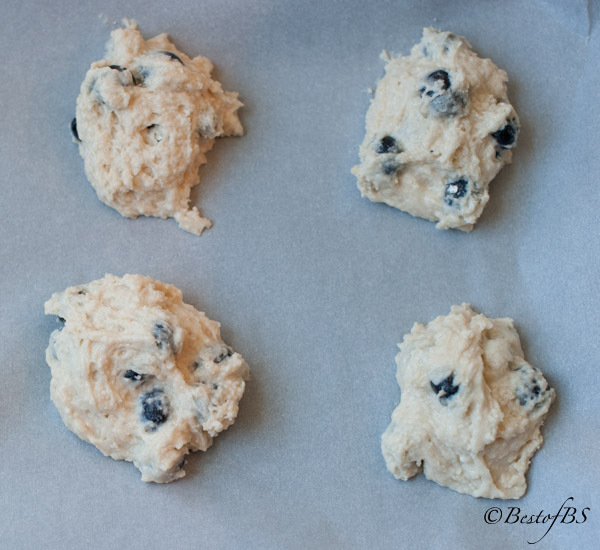 Now back to the Easy Blueberry Spoon Biscuits. This is a great addition to your breakfast recipe file. As you can see, they made Brady, my “Breakfast Buddy” very happy! 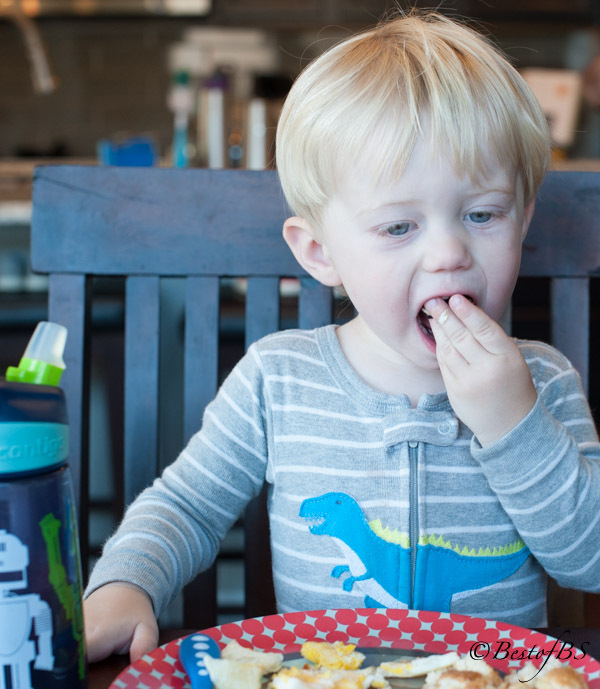 And…the fact that he was my “Breakfast Buddy”, made me smile. He could not shovel the biscuits into his mouth fast enough. It is so great when you cook something the grandkids love to eat! And, there is absolutely nothing like grandchildren!! As I am at Abby’s and I decided at the last minute to make these biscuits for breakfast, I had to use what she had in her pantry and fridge. She is the one who really encouraged me to make the move to mostly organic ingredients; so she had most of what I would normally use. The only thing neither one of us use regularly is the Bisquick, but she had it in her pantry; so I used it. We both usually make our own baking mix or use organic. I will include the recipe for the baking mix in a future post. 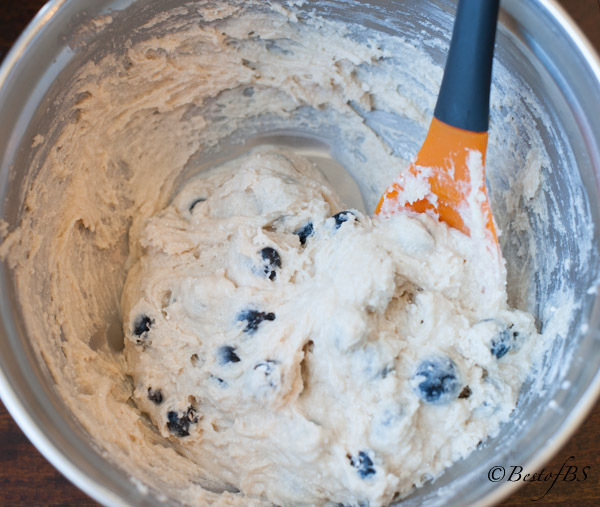 Put the baking mix, sugar and damp blueberries in a medium sized mixing bowl. Using a soft spatula, carefully fold the ingredients together until they are all combined. 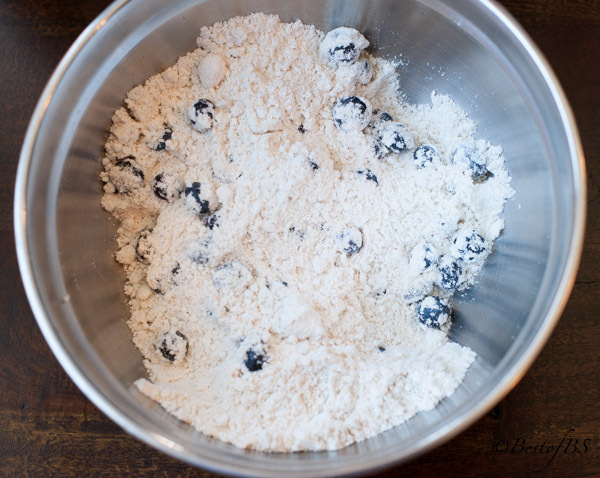 Folding the damp blueberries into the dry ingredients makes it easier to incorporate them into the biscuit batter. Pour the milk evenly over the top of the dry ingredients. Gently fold it in, being careful not to crush the blueberries. I love this spoon spatula that Abby has. I see one in my future. This is what the Easy Blueberry Spoon Biscuits should look like when they are perfectly done. It should take about 8 to 10 minutes. 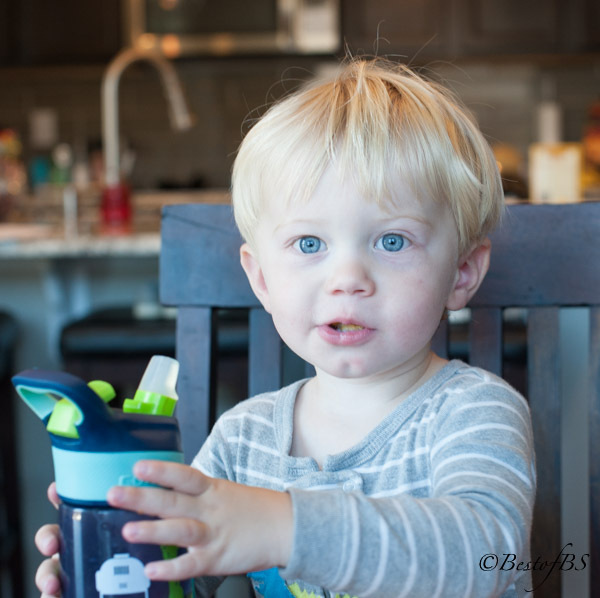 I think these Easy Blueberry Spoon Biscuits made Brady, my “Breakfast Buddy” smile. Line a large baking or cookie sheet with Parchment Paper or lightly spray it with a cooking spray like Pam. In a medium sized mixing bowl with a wooden spoon or flexible spatula, carefully stir together the biscuit mix, damp blueberries and sugar until well blended. Pour the milk over the dry ingredients and carefully fold the ingredients until you have a smooth, soft dough. Sprinkle the biscuit tops with coarse sugar. Put the biscuits in the preheated oven and bake about 8 to 10 minutes, or just until the tops of the biscuits start to turn golden brown. 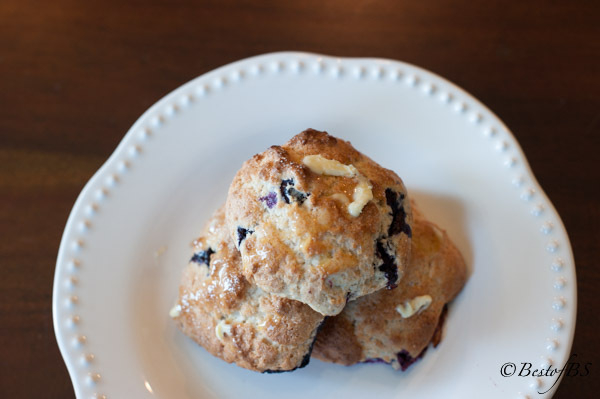 These EASY BLUEBERRY SPOON BISCUITS will bring happiness to your breakfast table. Great either slathered with butter or iced with traditional Cinnamon Roll Icing.